It may be icy winter in Europe and North America right now. But it’s certainly warm and breezy beach weather in the Caribbean, Thailand, South Africa, and elsewhere. So if you’re headed for that long-awaited seaside vacation, are you all set? Got your tickets booked and vacation rentals reserved? Most importantly, are you all packed? And by that, I don’t mean that you’ve thrown random bathing suits and sandals into your suitcase! 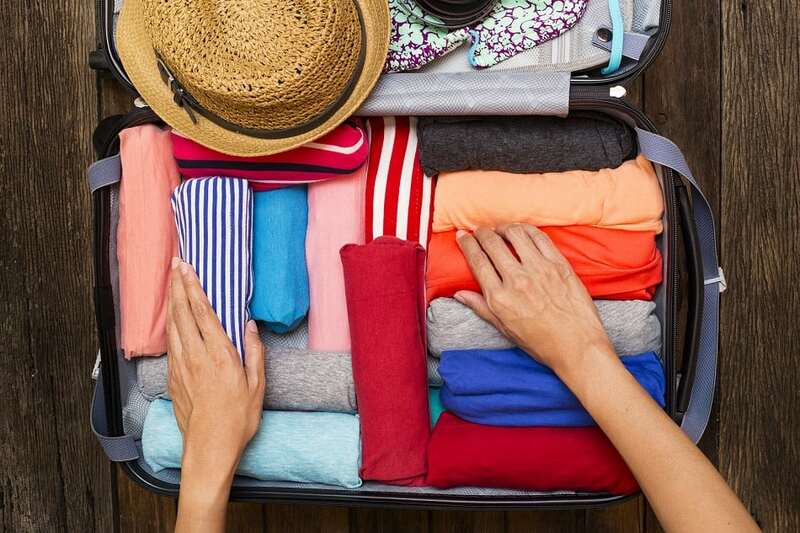 You see, packing is an art that can make or break your holiday. And packing for the beach involves a delicate balance. You’ll want to have everything you’ll need. Having to buy items you forgot once you’re there (instead of diving straight into fun) is such a downer! Yet, you don’t want to be dragged down with too much stuff! So, when it comes to packing, are you a beach maven – or beach bum? Take this quiz and find out! Question 1: What Goes into Your Beach Bag? Here’s what you need: Light, summery clothing – comfortable but stylish. Bathing suits and/or trunks (bring several so when one is wet, you’ll always have a dry one to wear). Cover-ups, shorts and tees, sandals/flip-flops, and leisure shoes. Sundresses and light-weight shirts/pants for evening wear – plus sweaters or sweatshirts in case of chilly nights. Don’t forget to include a waterproof beach bag to store your cell phone and other valuables – plus plastic bags to transport wet and sandy swimsuits and towels. More essentials: Stay safe while enjoying the sun with a strong sunscreen/sunblock, after-sun lotion, and protective lip balm, sunglasses, hat, and yes, a water bottle or two. Question 2: What DON’T You Need to Hit the Beach? Here’s what you should leave home: Towels, chairs, and beach blankets/umbrellas. Snorkel, fins, and other sports equipment. Beach toys and flotation devices for the kids. Sure, you may need them. But guess what? Many vacation rentals already offer such amenities – find out if your rental does. No need to lug those bulky items along. Other things to leave behind: big bottles of toiletries, books (ok, take just one plus your e-book reader), jewelry, hair straighteners and other unnecessary gadgets, bags of snacks, guidebooks, and too-fancy clothes. One, you don’t need them. Two, you can buy/borrow them. Three, they take up way too much space. And folks, it’s a beach vacation, and you’re at the beach most of the time! No need to pack half your wardrobe. Question 3: Punctual Packer or Eleventh-Hour Beach Bum? Okay, we’re all busy. But packing at the last minute means you’re likely to forget to bring some really important thing. (You can bet you’ll remember your sunblock sitting on your medicine cabinet on your way to the airport. )More than that, in your haste, stress, and absence of planning, you’ll likely over-pack – bringing stuff you don’t really need and losing valuable suitcase space for things you DO need. 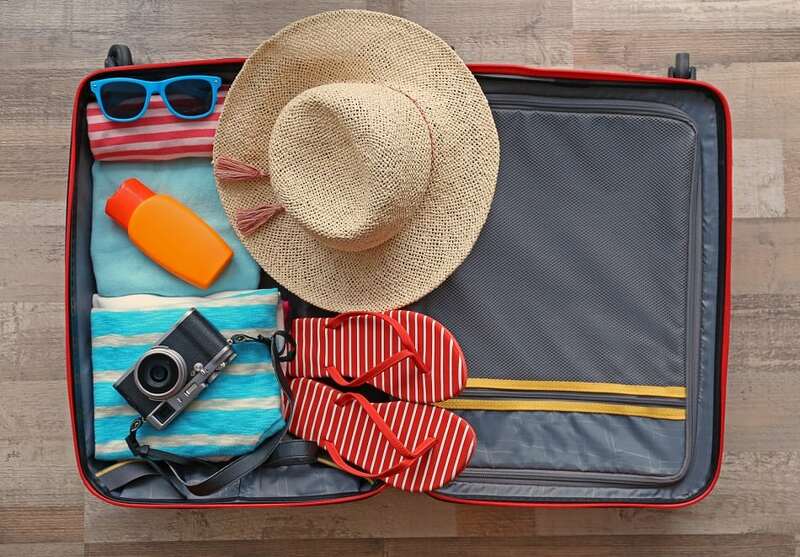 So give yourself a margin of error: Two weeks before departure, make a complete beach vacation packing list – listing what you already have and what you’ll need to buy. A week before D-day, make your purchases, do your laundry, withdraw cash, make housekeeping arrangements. Two to three days before, pack your suitcase, checking items off your packing list. And the day before leaving? Relax. Question 4: What Do Kids Need for a Sand-sational Time? Taking your kids on a beach vacation is a daunting task – and another reason to be an organized packer. It’s important to check the local forecast for each day of your holiday. Make a list of day-to-day activities (and the clothing and equipment required for each), and itemize each family member’s wardrobe needs. Sunscreen is a must, of course. In addition, be sure to take emergency first-aid supplies, gallon-sized plastic bags to stow away wet diapers or wet swimsuits, baby powder (a few sprinkles remove sand from your kids’ skin), and a soft-sided cooler containing water and snacks. Other kiddie must-packs: sippy cups, small beach toys, travel change pads. Question 5: How Do You NOT Make Waves with the Locals? Sure, you’re on your way to a beach holiday, where casual dressing and skimpy swimwear is expected. But understand that each country has its own customs and practices. For example, in the Caribbean, camouflage clothing is not allowed and is even illegal in some areas. In South Africa, blue or black clothing is avoided because tsetse flies are drawn to these hues. In Spain, flip-flops are only worn inside the house (yes, even in the summer). So while they may work on the beach, if you want to walk Spain’s cobblestone streets, sandals, flats or trainers are better options. And in Thailand, while citizens are used to under-dressed foreigners, you’ll probably enjoy better service if you’re “more covered than not.” Be sure to bring conservative clothing should you decide to visit a Thai temple. After the sun and fun, there’s no better place to cool off than at your own vacation rental even better than a hotel room. Each of our premium properties is a full-service, tailored-to-your-needs luxury retreat – with incredible views and private pool. Spacious interiors and state-of-the-art kitchens. Luxe amenities, lush surroundings, and access to activities and local attractions. 5 Cs – You’re a beach maven. 3-4 Cs – You’re in the swim of things. 0-2 Cs – You’ll need some time to get used to beach packing. Most importantly. Don’t stress, just enjoy. Looking for more ideas? Try these travel therapy tips to transform a dull vacation into an awesome one.